For the past several years, the Michigan Municipal League has worked tirelessly through our Prosperity Agenda and Center for 21st Century Communities, to determine what it will take to restore Michigan to a prosperous state once again. We believe that our communities are at the core of the economic turnaround, and that "place" is the huge economic driver. The disheartening facts are that we continue to lose our college graduates at an alarming rate because we don't offer the kinds of places where they want to live. Almost half of them leave the state, and two thirds of those who do leave choose where to live first and then find a job. For over 10 years, Michigan has been in a state of serious economic decline, one where jobs have been lost, housing foreclosures have decimated communities, and the mass exodus of talented and creative people continues at an alarming rate. It's time to say, "enough is enough," and focus on what really matters: creating dynamic, walkable, sustainable communities and regions where people want to live. It's time to start talking about the importance of place as the economic development strategy that will create a positive, dynamic future for Michigan. 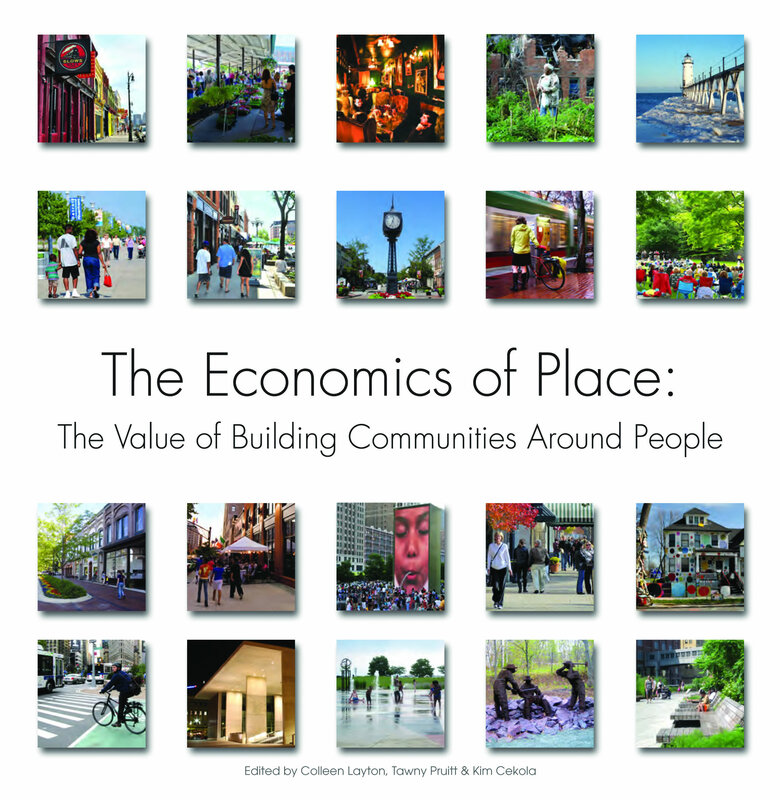 To facilitate this discussion, we developed a book that focuses on placemaking as an economic development tool, titled The Economics of Place: The Value of Building Communities Around People. Through its work, the League has crossed paths with and forged new partnerships and collaborations with individuals, organizations, and foundations that would have seemed unlikely just a few years ago. They represent a wide breadth of backgrounds, including urbanists, researchers, practitioners, and entrepreneurs. We are very excited that you will hear from many of them--as authors of chapters in our book--as they share their stories, research, and own unique perspectives on the importance of "place" and its vital role as an economic growth strategy. You will not only read about specific Michigan challenges and its potential, but lessons learned in other places around the country as well. 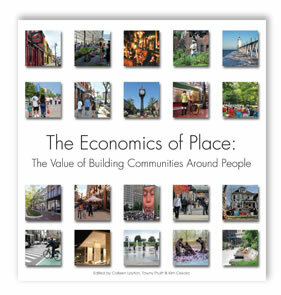 Each member community has received a complimentary copy of The Economics of Place. The book is also available for purchase on Amazon at this link.